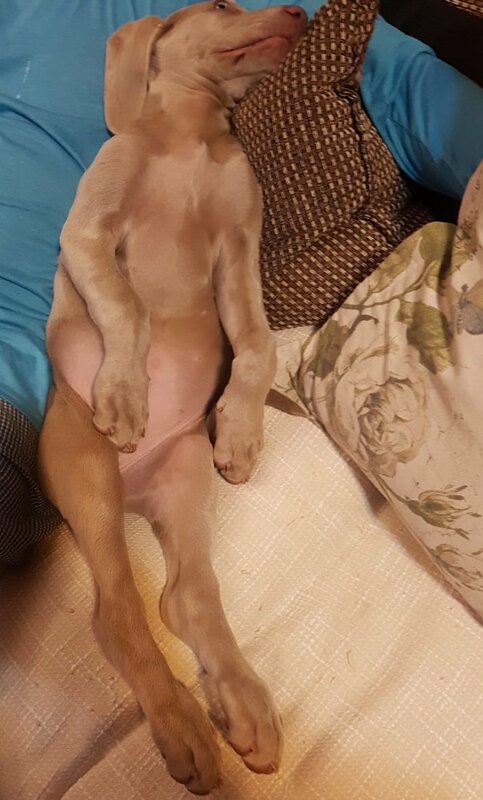 Are you as tired as Martin Bester’s puppy? Martin Bester has been a bit grumpy in the mornings of late due to a lack of sleep. Hear what his colleagues think of his moodiness. There could be any number of reasons why people are tired, but Liesl Laurie and Elma Smit have noticed recently that Martin Bester has a tendency to get grumpy when he hasn't got enough sleep. This, he explains, is down to renovations and his cute little puppy (pictured). The only way to fix that grumpiness is a good coffee in the morning and you, our friendly listeners! We went around the office to ask colleagues how they have experienced Martin Bester’s mood in the office. Martin was a bit nervous to know what his co-workers had to say, but we reckon it wasn’t that bad. Their voices have been muffled to hide their identity!